← Week 27 – last share of 2014! It’s been a long hibernation for the blog here at cullyneighborhoodfarm.com. My winter has been fairly restful and also full of new things and changes. 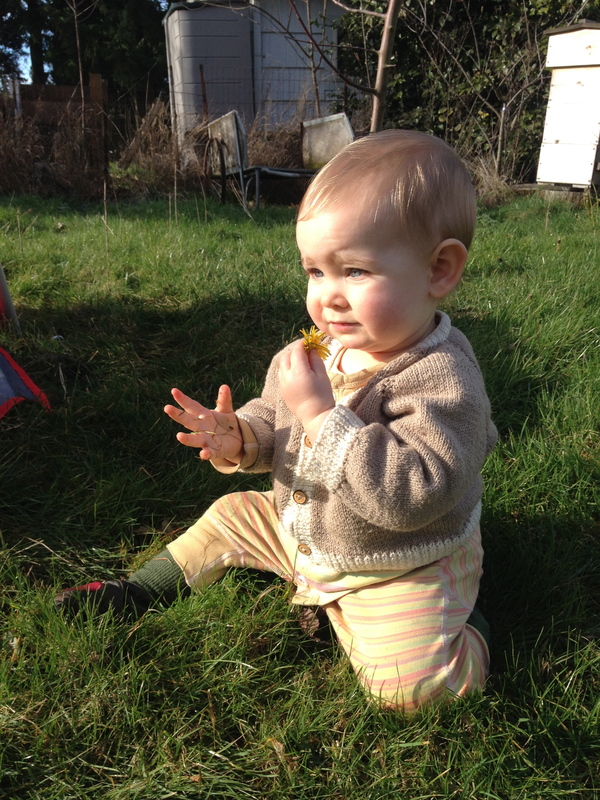 I started a new job, made some changes to the farm business model for 2015, and spent a lot of time with my now 13-month-old daughter. Now that the Portland spring has sprung early, I figure it’s high time to send out a farm update. So first things first: what’s up with the farm for 2015? I will be taking a break from the CSA model this year. But two exciting new things are happening! First, a new partnership between Grow Portland and Cully Neighborhood Farm will bring Community Farming to Cully this year. Community Farming is an experimental model where anyone can drop in at a regular weekly time to help with farm tasks and take home $20 worth of fresh produce after 2 or more hours. This will be Mondays 3-6pm starting April 13th at Cully Neighborhood Farm. The first month or so may be light on the produce, but I’ll write participants’ down for future credit if there isn’t enough during these first weeks. I’m excited about this model because it allows anyone with some time to access fresh healthy produce without money, while also learning and practicing organic farming/gardening techniques. Participation is open to community members 15 years of age and older (minors complete a parent/guardian permission slip). All that is required is to show up and participate! No advance RSVP is necessary, though if you know that you’ll be coming I’d love to know (email me: matt@cullyneighborhoodfarm.com or call/text: 503-310-5766). If you’re interested in coming on a regular basis that would be very welcome as well! There is an optional $2-5 donation/week to help cover farm inputs. For more information on all of Grow Portland’s Community Farming sites, please visit their website. The second new thing at CNF this year is an on-farm produce stand. This will be Mondays 5-6:30pm starting sometime in May. The stand will be located on the farm at the shelter in the NW corner. Access to the farm is off Killingsworth through the parking lot of Trinity Lutheran Church & School (5520 NE Killingsworth). At the back of the parking lot behind the church you will see the farm with the hoophouse and shelter structures. Stay tuned to our blog, email list, and Facebook page for more updates about the farm stand’s start date. I’ll also try to post weekly Facebook & blog updates on what fresh produce will be available for purchase. In addition to being able to swing by the farm stand to purchase your weekly produce at regular farm stand prices, I will be offering discounted advance credit to the stand. Stay tuned to the usual outlets (Facebook, blog, email list) for the details on that. I’m excited to try out these new endeavors this year, and continue to make Cully Neighborhood Farm a community-focused hub for those who want to eat fresh, healthy, and local. As always I welcome your feedback and questions.